What is it? 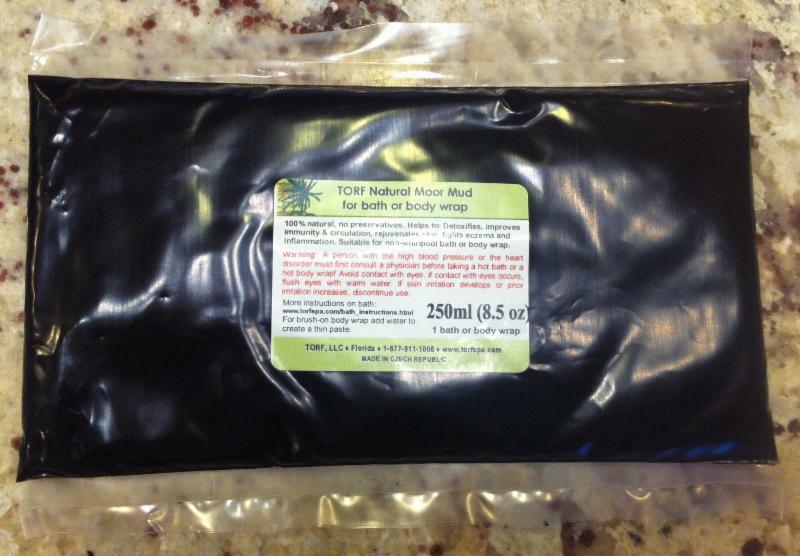 Torf Natural Moor Mud for bath or body wrap is 100% natural and does not contain preservatives. The mud contains virtually no clay (less than 3%) and consists of organic residue of herbs, flowers, and grasses. Why does it work? Over period of thousands of years this residue was transformed into a fine paste that easily dissolves in the water, has unusual concentration of bio-minerals, trace elements, vitamins, amino acids, plant hormones and fatty acids in a molecular form that is easy for the human skin to absorb. We love it because it helps to detoxify while improving immunity and circulation, rejuvenates skin, fights eczema and inflammation. How does it work? This multitasking treatment can be used in a bath or as a body wrap by adding water. In a hot bath, add the entire sachet to the water and make sure all mud has dissolved. Immerse yourself into the hot water and relax for a maximum of 20 minutes. After you are done, rinse all remains off skin. Be sure to lie down afterward for at least 30 minutes wrapped to keep warm. For a body wrap, mix the sachet of mud with some warm, pure water until you reach a smooth consistency. Apply the paste by hand or with a brush to the body starting with the top of the heels and finishing on the shoulders. This is best done by someone else. Wrap the body in cellophane foil and a heated blanket. After relaxing for 30 minutes, wash off all mud. Lie down to relax for at least 30 minutes. Caution: Not intended for use if you have a serious disorder of the central nervous system, acute urethrocystitis, pregnancy, any heart condition, fever, serious inflammatory skin diseases, open skin injury, bleeding, oncoids, or possible thromboses. To learn more about this healing product, visit their website.